Britain's Jordanne Whiley has won the Daegu Open in South Korea - her fourth title in five tournaments since returning after the birth of her son. The 26-year-old recorded a 6-2 6-3 win over Japan's Momoko Ohtani, who she beat in last week's Busan Open final. "When I started my comeback I never thought I'd win all these and be ranked inside the top 20 by April," said Whiley, who returned in December. "I'm very happy with my wins here in Korea." 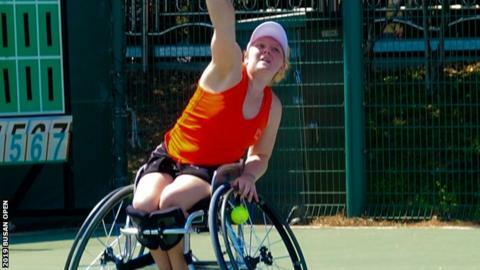 Whiley will now compete in Saturday's doubles final with 38-year-old fellow Briton Lucy Shuker, before she heads to the Israel Open in May.